Especially if you are a beginner, converting a raster to a vector can be a real struggle. As the time goes on, one gradually masters the techniques and mindset required for creating great vector art. Half of the struggle is getting started and approaching a particular bitmap with the right approach. In the following article, we will be discussing few tips to sort this struggle out. These tips are aimed at rendering our readers with the right mindset while creating the vector art from any image. When you have a raster image that you want to convert into a vector art, firstly, break it down into base shapes. Breaking down an image into all the constituent base shapes provides a clear plan of action to the vector artist. Otherwise, there are chances that you will get overwhelmed by the image. Not knowing where to start and end, can cause confusion and distrust to the artist. This ultimately leads to not producing the very best. Splitting an image in base shapes determines your course of action. It is the pre-planning phase of creating a vector art, so don’t overlook this. When you are looking at a raster image, figure out the elements that can be vectorized by simply using basic geometric shapes. Many elements can be modelled by using geometric shapes or manipulating them. This, in turn, saves a lot of effort and time. 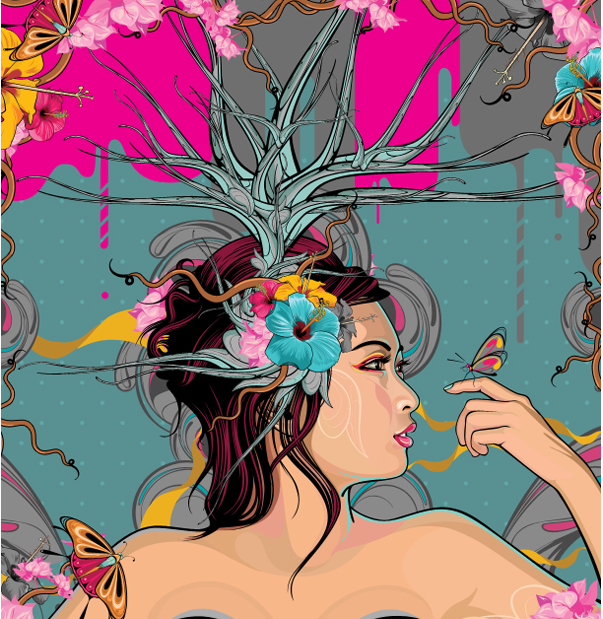 Most of this vector art is created by using just one basic shape. Can you guess which one? The answer is a rectangle. Most of the elements you see in the above picture are created from a rectangle, in conjunction with the wrap effect. Wrap-effect is used to tweak basic geometric shapes in the desired way. By smartly using brushes in vector programs, one can significantly save the time and effort to create a vector art. Brushes are a common tool but their application is pretty limited. If you can spot an element or object, that is being used over and over again, consider creating a brush for it. Consider the following image. It is an example of simple but great vector art. Look at the stars in this vector. Creating these stars individually would take a lot of time. Instead, a scatter brush can be used to create stars of different size and space in almost no time. This is just one simple example of how brushes can be smartly used to save time without settling for a compromised quality. While converting raster to vector, adopt this habit of working in layers. I can understand that almost everybody works in layers while creating vector at, but mostly it is only for the sake of it. Don’t just create layers for the sake of it. 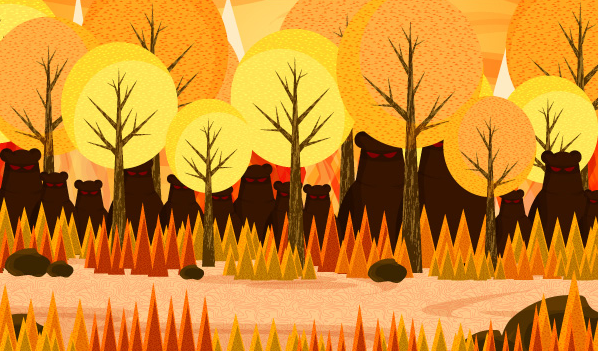 Instead, try leveraging layers in a manner that it actually helps you creating better illustrations. Try creating backgrounds, characters and fonts in different layers. It gravely enhances your ability and flexibility while working with rasters to create vectors. You can duplicate a particular layer and make the changes without losing your primary idea. Creating textures for different objects is an essential component of vectorizing. Had there been no textures in bitmaps, the life of graphic artists would have been so much easier. But since in real world, there are almost textures involved, skipping textures is inevitable. Fortunately, there are several ways of creating textures in illustration and graphics programs easily and quickly. One of the easiest and direct methods of creating textures is through patterns. You can use patterns to create most common textures. 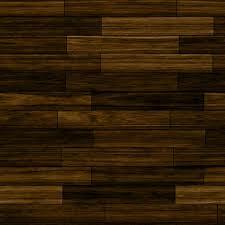 One of the most common patterns is the wooden pattern that is used to impart wooden texture. Another easy of creating textures is by using effects in vectorizing programs. You can also edit these effects to be compatible with your desired texture. Similarly, brushes can also be used to create textures. This again goes on to explain the vitality of brushes and their wide range of possible uses. When looking at a bitmap that has to vectorized, get into the habit of figuring out repeating elements. In most of the images, there are repeating elements and if you can figure them out, it makes your job really easy. During vectorizing, you can conveniently replicate the similar elements over and over again. Look at the image below. It is not difficult to spot repeating elements here. Though most vectors will not have repeat elements in such frequency it just goes on to show that how simplified vectors can be made in this way. Replicating repeating elements doesn’t mean compromising on a lesser quality while creating vector art. These elements can be individually modified with respect to the color, size and texture. There has been a lot of debate about using shortcuts as many consider them to be cheating. There are instances where these ‘shortcuts’ are definitely cheating but a sweeping statement for all the creative shortcuts in nothing but ridiculous. Simply tracing a stock image is cheating, but how often does that happen? Take tracing a background from a stock image. Since it is just the background, which is not the primary focus of vector, it cannot be considered cheating. Similarly, what about creating a blurred background with gradient mesh? Is it cheating too? Definitely not. It is just making your work easier by optimizing the resources you already have access to. Taking care of consistency throughout a vector is imperative. 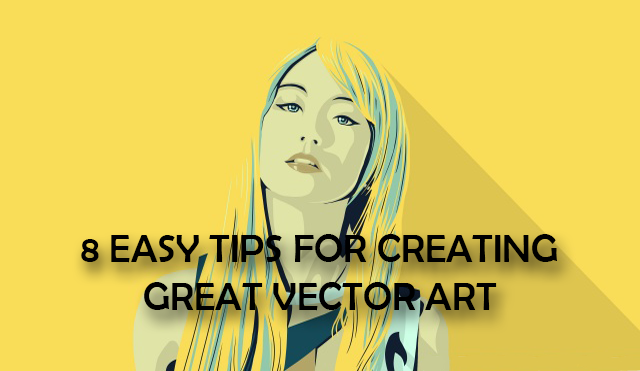 Although in above-mentioned tips, the focus has been on breaking down the raster to make vectorizing easier, consistency with respect to styles and textures is key. Breaking down things makes the job easier but at the end, it is one illustration. It is one illustration that should come out great as a whole. So, remain considerate of how these distinct elements fit in cohesively. You simply cannot deal with distinct elements isolated. Mastering any skill requires patience and practice. For raster to vector conversion, connect with us for professional assistance. At the lowest prices, we render an amazingly great quality. Don’t believe it? You can get a trial vector conversion at 50% off. Place your order or get a vectorizing quote. You can also check out the vectorizing samples.